RG Orcutt Ambrosia is another daughter of Rimlo Black Prince and was raised here on the Grunden Ranch. 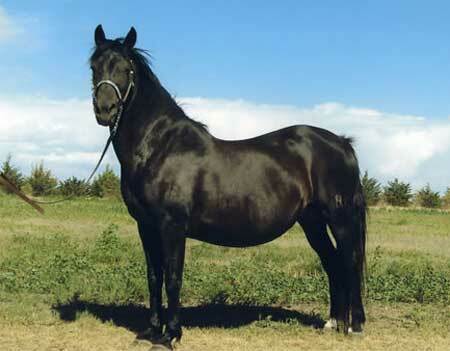 She consistently produced top quality foals, including our homozygous black junior stallion, RG Rimlo Prince Valiant. She was a very good mother that raised her foals well. She was a dark brown mare that has produced very upheaded, showy, foals for us.